I have a thing for unique packaging, so can we focus on this awesome side-to-side lid? It’s something I haven’t seen before so I was intrigued just by the packaging. The top compartment is the baked bronzer, and the bottom compartment has a brush and a mirror. 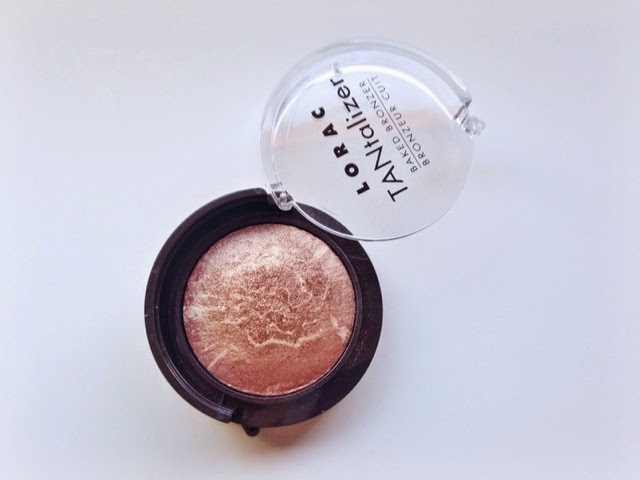 The Lorac site refers to this as “swirling, sun-kissed shades that deliver Red Carpet radiance in an instant.” Ummm, yes please! It’s not too orange, not too heavy, not too sheer, not too brown, not too shimmery, and not too much of anything it shouldn’t be! 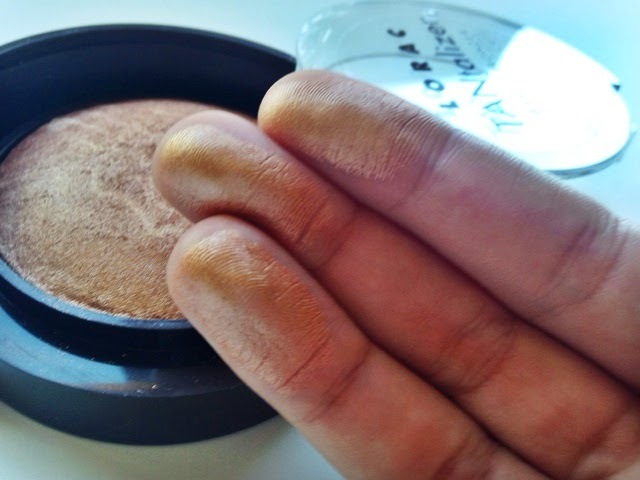 Pure perfection and I love that it is a baked bronzer. Baked makeup products (blush, bronzer, eyeshadows) have a different consistency that I feel can be blended into the skin easily and look much more natural. The beautiful shades, when baked, swirl together to create the perfect, natural glow. This can also be applied to the body; however be weary and careful when dipping your brush back into the bronzer because body oils can really screw up the balance of oils on your face. 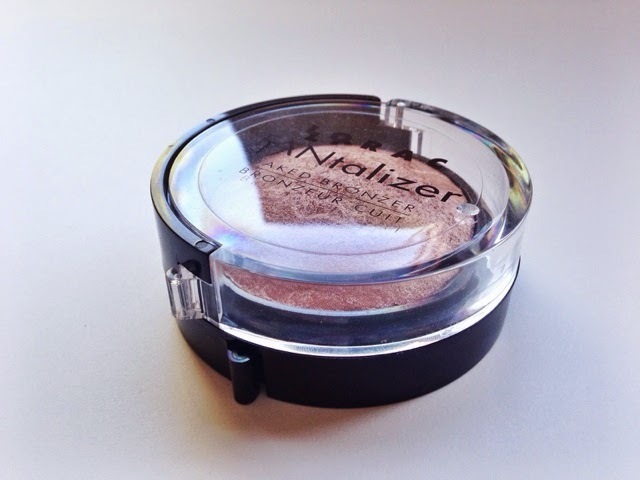 This bronzer is great for light and dark skin tones and is truly versatile. I think the $32 investment is well worth it because this will last you quite a long time. I apologize for the odd lighting in this picture, but I did want to show you a swatch. 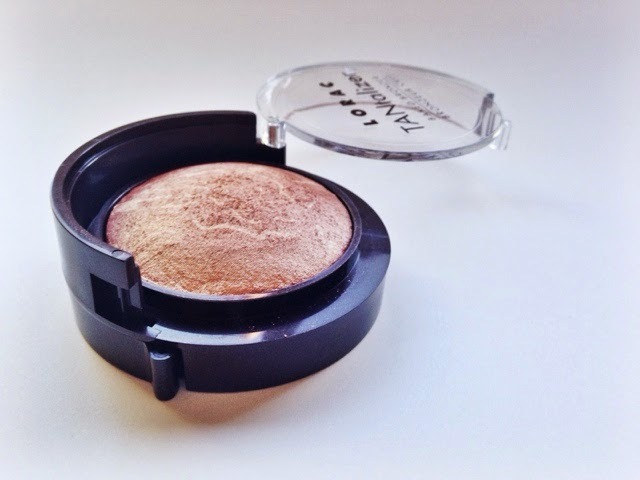 Will you be checking out this bronzer? 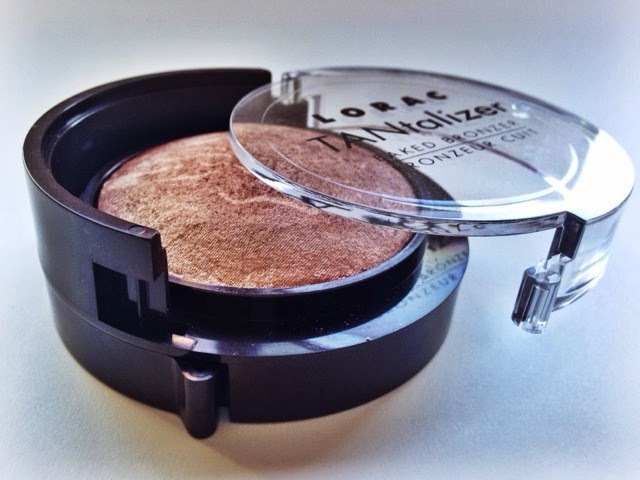 **Disclaimer: Lorac Cosmetics sent me this products for testing and reviewing purposes. All opinions in this post are honest, genuine, and my own.